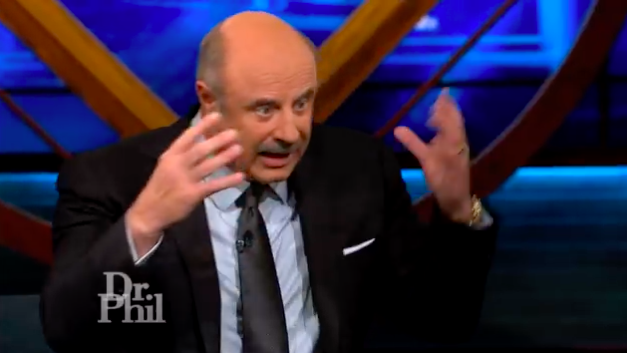 A scathing new report has accused Dr. Phil of exploiting addict guests by plying them with drugs and booze in a bid to boost ratings. The joint investigation by STAT and Boston Globe says that former licensed psychologist Phil McGraw and his team would make guests go cold turkey before tempting them with alcohol and pills. Survivor: China winner Todd Herzog told STAT when he appeared on the talk show in 2013, during a struggle with alcoholism, he was flown out to a hotel in Los Angeles to detox – a task that is dangerous when not medically supervised – and then taken to the studio where he discovered a bottle of vodka in his green room. Coating off the entire thing, a staffer is then reported to have offered him a Xanax before heading out onto stage. When he did so, Herzog had to be carried to his chair. It’s a callous and inexcusable exploitation. These people are barely hanging on. It’s like if one of them was drowning and approaching a lifeboat, and instead of throwing them an inflatable doughnut, you throw them an anchor. Addicts are notorious for lying, deflecting and trivialising. But, if they are at risk when they arrive, then they were at risk before they arrived. The only change is they are one step closer to getting help, typically help they could not have even come close to affording. Herzog appeared on the show a further four times and is now sober. During his first appearance he took a breathalyser test and blew a .263, which is over three times the legal limit to drive.